in Pacific City, Oregon, just two hours outside of Portland. We’re proudly based in Oregon, and we love it here. We wish everyone could get to walk through the mossy forests, stare at the snow-capped volcanic peaks, stand below our abundant waterfalls, and gaze out at the endless Pacific Ocean. In that spirit, we’re running another sweepstakes, this time a trip for two to our home state. The winners will stay two nights at the lodge in a King Signature Room, have $1500 in paid travel and leisure expenses, as well as be gifted four wool& dresses, for a grand total value of $3,000. 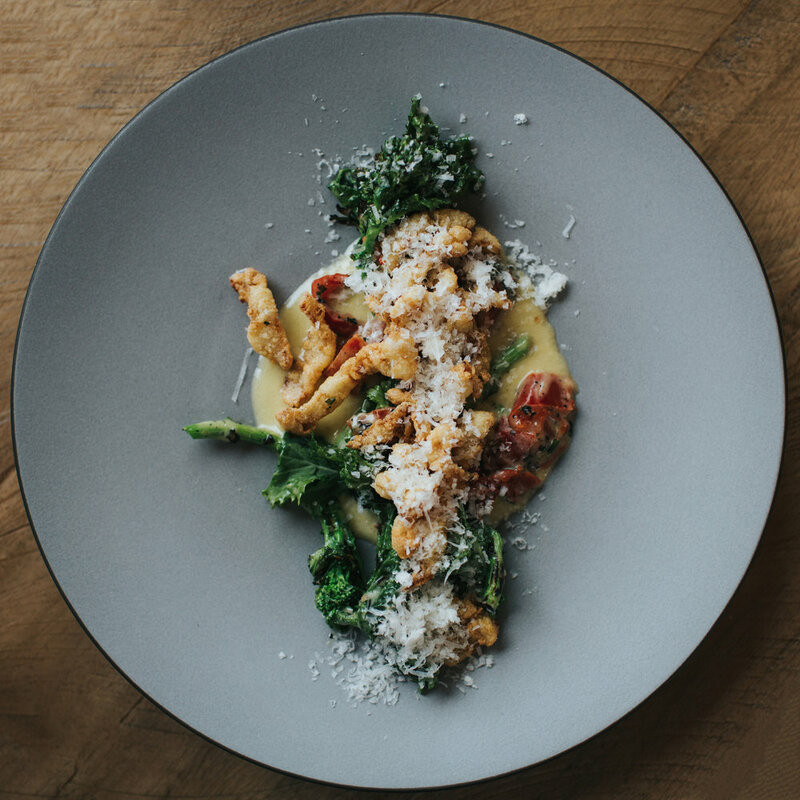 To enter, sign up for our email newsletter below and follow wool& and Headlands on Instagram. By entering your email you are signing up for both the wool& newsletter and the Headlands newsletter. If you are already signed up for the wool& newsletter, you are automatically entered. Thank you! We’ll be in touch. Please share with your friends who would take you as their +1. The forested coastal mountains abruptly meet the Pacific Ocean, creating a steep, often cliff-like coastline. Seals and sea lions flourish in different pockets along Oregon’s western edge. Many stretches of the northern coast have long, sandy beaches to stroll, and look for sand dollars. On the coast, one benefits from dressing in layers and keeping a coat always on hand, to prepare for wind, rains, and direct sunshine. And it’s the sunset coast, so if the clouds are gone, expect to stand looking over the ocean as the sun says goodnight. 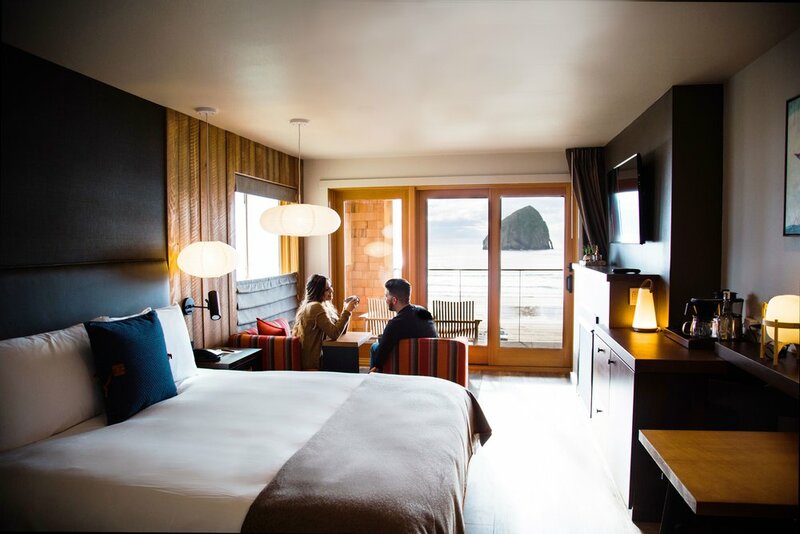 A stay at Headlands is a true escape from the hectic day-to-day, a windswept retreat at the edge of the world, for travelers who seek out the undiscovered, unexpected and unpretentious. Here you’ll find countless opportunities to head outdoors for adventure on the water, beach or trails...or stay in to recharge and restore in the warm, stylish lodge. Head out for a walk on the wide, sandy beach. Or a heart-pumping hike up the towering dune just outside your oceanfront room. Learn to surf in the bracing Pacific waves. Take your first ride in a dory boat, launching right off the beach to find fresh fish and crabs. If you arrive at the right time of year, you may glimpse some of the 20,000 gray whales migrating north toward their summering waters near Alaska. In a different mood? 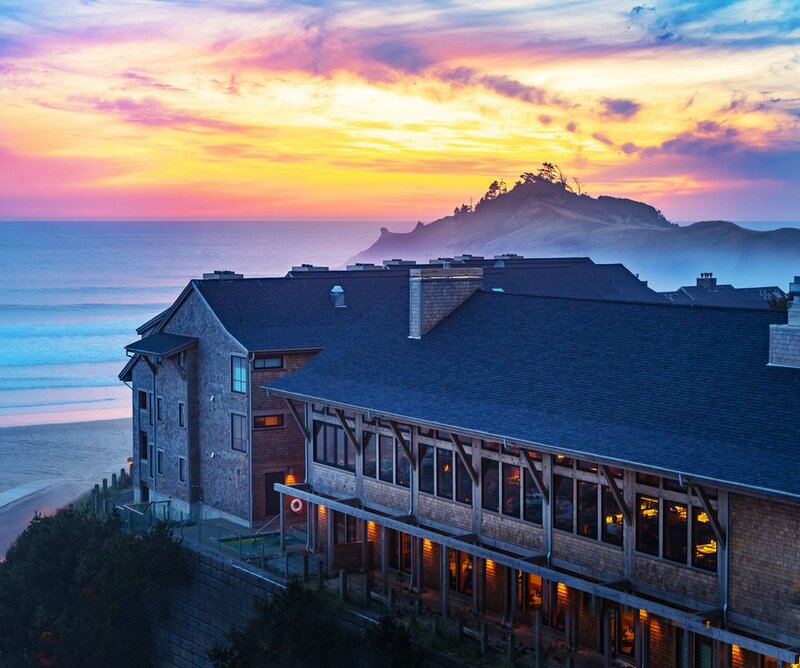 Walk over to the only Beachfront Brewpub in the Northwest, Pelican Brewery, and gaze out at Haystack Rock as you sip beer and let time slip away. Or use Pacific City as your home base, and explore even more of the coastline, like the Three Capes Scenic Loop which Cape Kiwanda serves as the southern terminus. 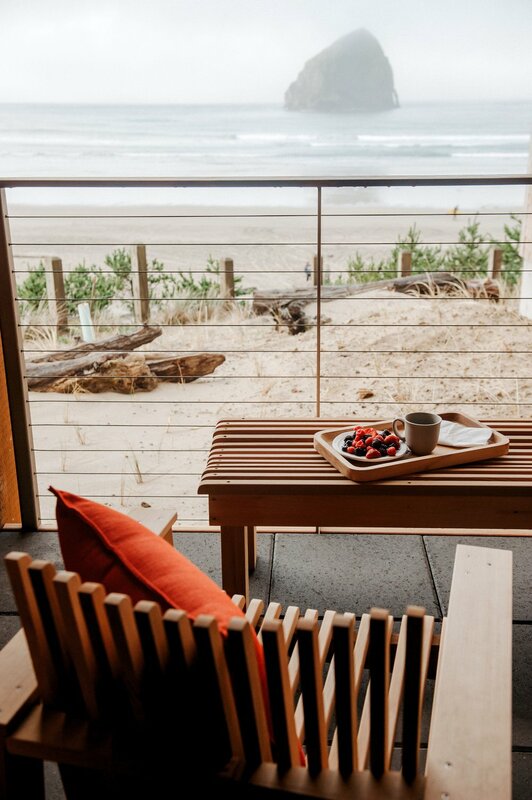 To enter to win the trip for two to the Oregon coast, sign up for our email newsletter below and follow wool& and headlands on Instagram.